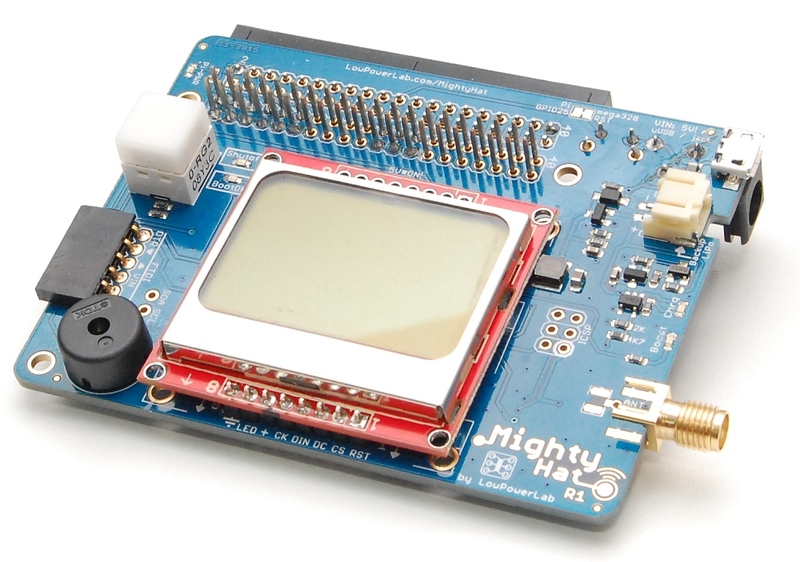 I’m pleased to introduce a new development and product that I have been working on in the past months: MightyHat ! 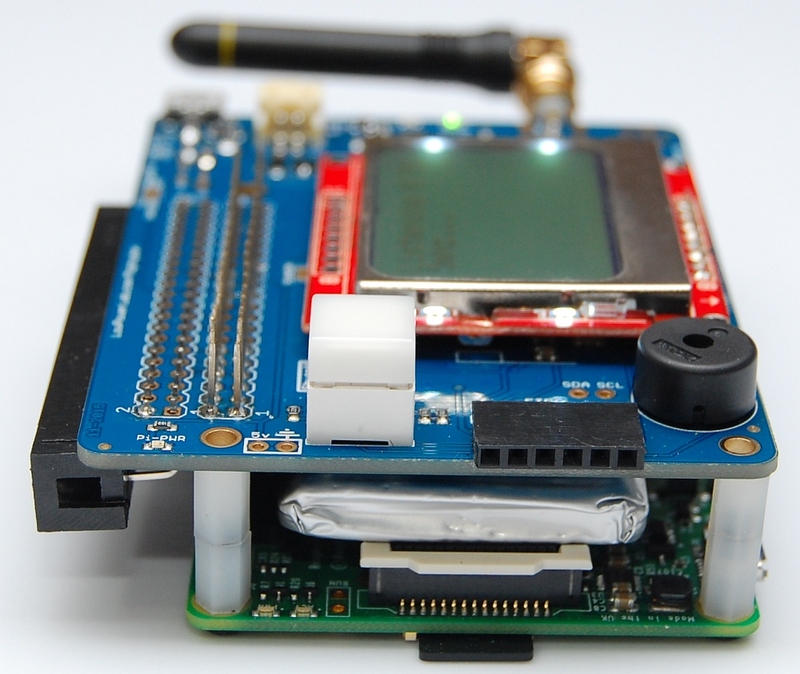 What is great about MightyHat is that it can run “headless” somewhere in a box with only power and a Wifi dongle attached (and battery if you want power fail safe). 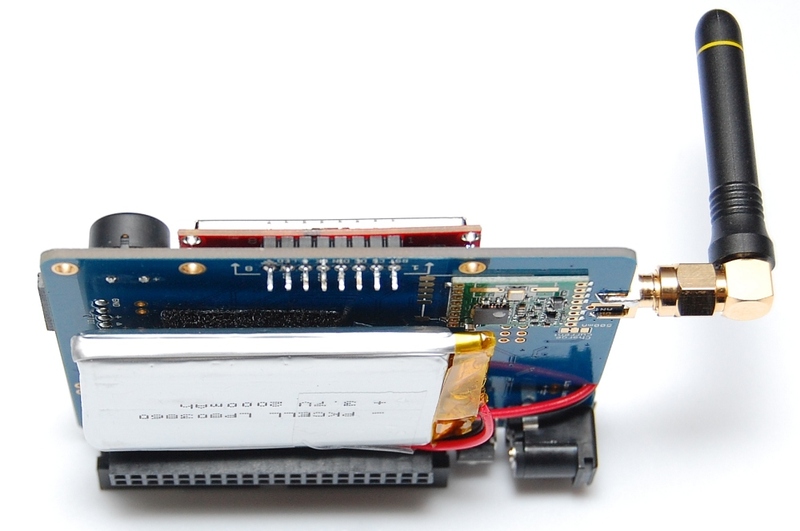 The R/G button is right on the board and will show the power status of the Pi in colors (red, green or orange) with blinking and PWMing for different changing states, most of how this works is borrowed from ATXRaspi, with a few differences. 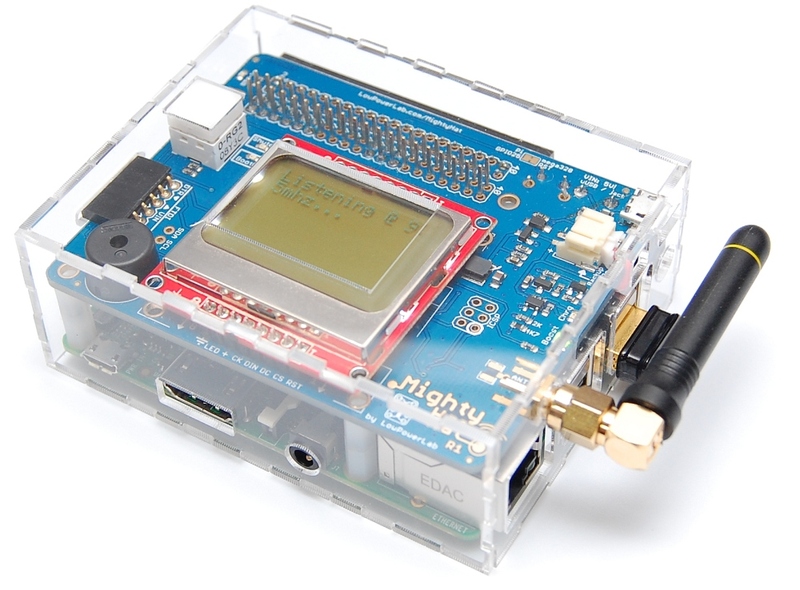 What was particularly difficult in making MightyHat was finding all the right parts to fit everything together and feasible for a case (hardware, headers, positioning of parts on top/bottom of the board etc), and getting everything right in just 2 prototype runs. 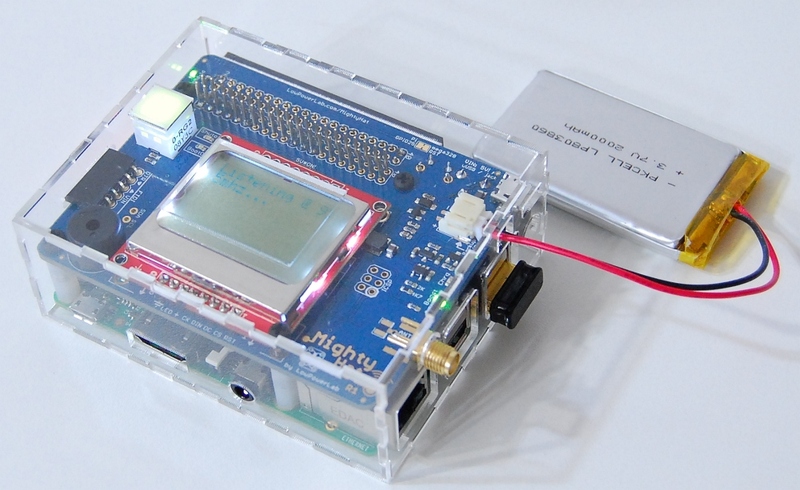 Also I’ve been looking and testing graphics libraries for the Nokia 5110 LCD that goes on top of it, and I finally settled on u8glib which I think is superior to others that aim to do the same thing and it supports a ton of devices and has a ton of included fonts, awesome. I am working on an acrylic case which I hope to have ready soon as well. 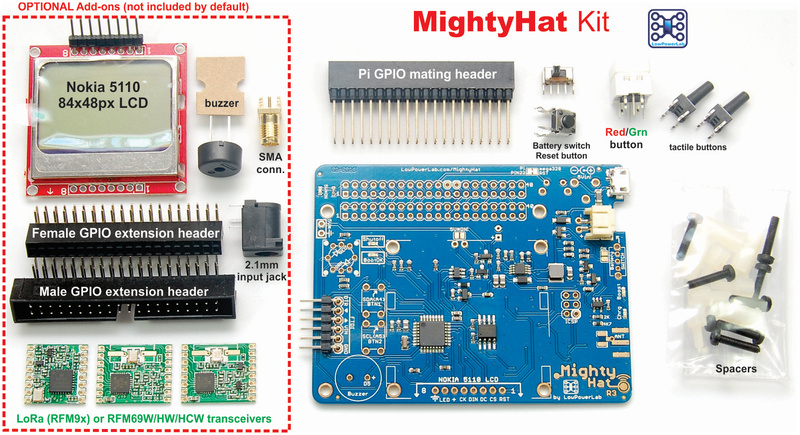 I published a sample sketch for MightyHat and I will continue to tweak and improve it. There is also a MightyHat page where more info will be added as it becomes available. 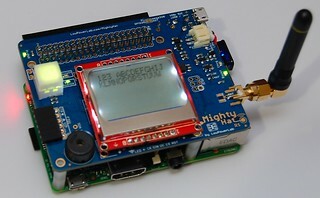 This entry was posted in MightyHat, New products by Felix. Bookmark the permalink. This is great. Nice solutions! I like it very much. Very nice Felix! One problem: I followed the link to your shop and went through the options, and it seems I can only select “No LCD (default)”. There is no option to actually select an LCD that I could see. 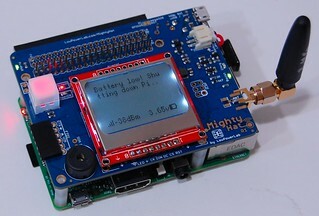 Just make sure the order of pins match on the LCD to the labels shown on the MightyHat board pictures. I have sourced the same as pictured but did notice that some alternatives available locally in the UK had a different pin order. May be a problem. The expected pinout of the LCD is printed on the MightyHat silkscreen… I will try to stock more of the correct LCDs to make it more convenient for people…anyway I’m sold out of the hats already, need to order a new batch. Nice work! I didn’t see it in your store, but I’d suggest you also sell the optional LiPo that goes with it. 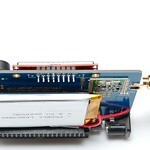 LiPos are tricky business to ship, many restrictions. 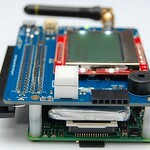 I would recommend the 2000mAh battery from Adafruit, that is what I used and works well as a backup for MightyHat.